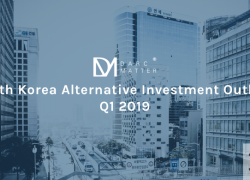 DarcMatter (DM), the global award winning FinTech platform for alternative investments was invited to participate in the leading fintech roundtable discussion, hosted by the Seoul Metropolitan Government earlier this year. DarcMatter Korea, the team leading the global award winning fintech platform’s expansion through South Korea, was honored and thrilled to participate and share insights on the global asset management industry. The roundtable was held to seek have an open forum of discussion to enhance the region’s financial competitiveness and to vitalize the fintech and asset management industry, in anticipation of the Fourth Industrial Revolution. As DarcMatter continues to confirm partnerships with key financial institutions throughout the region, the invitation was both timely and indicative of the FinTech company’s increasing presence within the South Korea FinTech and financial services community. “These are the important discussions and meetings we are honored to take part in,” noted DM’s Head of Korea, Jin Song, “given our company’s global expertise on asset management, alternative assets, and FinTech, we were happy to participate to share our perspectives and experience in utilizing fintech solutions for asset management as a means to gain an advantage in a highly competitive global marketplace. We look forward to participating in more discussions to move this initiative forward. Other key participants included the Mayor of Seoul as well as leading members of Parliament, the Financial Services Commission, Financial Supervisory Service, Korea Fintech Industry Association, and Korea Fintech Network. DarcMatter has participated in various discussions and conferences throughout South Korea, centered around fintech and asset management. Most recently, DarcMatter’s leadership team was invited to speak at the Jeonbuk International Financial Conference in the Jeollabuk-do region, which included participation from distinguished officials such as NPS Chairman and CEO Sung Joo Kim, NPS CIO Hyo-Joon Ahn, Governor Ha-Jin Song, Congressman Sang Min Lee, and many more. The company looks forward to participating in many more events supporting the fintech and asset management industries throughout South Korea. 글로벌 핀테크 대체투자 플랫폼 다크매터가 1월 말 서울시에서 주최한 금융산업 발전을 위한 핀테크-자산운용 기업 간담회에 초청받아 참석하였다. 다크매터의 한국 내 확장을 담당하는 다크매터 한국 지사는 글로벌 자산 운용 업계에 대해 식견을 공유하게 되어 영광이라고 설명했다. 이번 간담회에서는 4차 산업혁명 시대 금융환경 변화에 대응한 핀테크-자산운용업 활성화와 금융산업 경쟁력 강화를 위해 토론의 장을 마련하였다. 지역 내 중요 금융 기관과의 파트너십 체결 지속은 물론, 이번 간담회 초청은 국내 핀테크 및 금융 서비스 분야에서 다크매터가 입지를 드러내고 있음을 시사했다. 송진구 다크매터 한국 대표는 “다크매터가 국내외 중요한 간담회에 초청받을 수 있어서 영광이며 자산 운용, 대체 자산, 그리고 핀테크에 관한 다크매터의 글로벌 전문성을 고려했을 때, 경쟁력 있는 글로벌 시장에서 우위를 점하기 위한 자산 운용 내 핀테크 솔루션 활용에 관해 회사의 시각과 경험을 공유할 수 있게 되어 기쁘다”고 설명했다. 이번 간담회의 주요 참석자로는 서울시장, 국회의원, 금융위원회, 금융감독원, 한국 핀테크협회 등이 있다. 다크매터는 국내 핀테크와 자산 운용 관련 컨퍼런스와 행사에 다양하게 참석 중이며, 최근 국민연금 CEO와 CIO, 전라북도지사 등 업계 관련 인사가 참석한 전북 국제 금융 컨퍼런스에 연사로 초청받은 바 있다. 다크매터는 국내 자산 운용사들과 핀테크에 관련된 다양한 행사에 지속적으로 참석할 예정이다. DarcMatter는 전 세계 대체 투자 업계가 갖는 불투명성과 비효율정의 제거 증진을 제공하는 대체투자를 위한 세계 핀테크 플랫폼 어워드의 수상 회사입니다. 2014년에 설립된 DarcMatter 플랫폼은 투자운용사(GP)가 적극적으로 모집한 자본을 전 세계 투자자(LP)들과 연계시키고 있으며, 온라인 상에서 이해당사자들 간의 연결과 펀드 관련 문서들의 접근을 원활하게 함은 물론, 헤지펀드, 사모펀드, 벤처캐피탈펀드에 효율적으로 투자할 수 있도록 지원합니다. 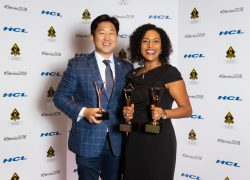 DarcMatter는 2018년 핀테크 도약을 위한 “Retail Investment Innovation Award”에 수상하였으며, “Company of the Year in Banking and Financial Services”에서도 수상하였습니다. DarcMatter는 뉴욕에 본사를 두고 있으며 상하이와 홍콩, 서울의 총 3곳에 사무소를 운영하고 있습니다. Diversify Your Portfolio Today Visit www.DarcMatter.com to Access Investments and Invest to Diversify Your Portfolio. 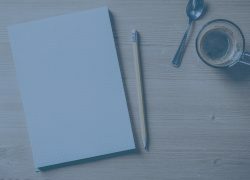 Reach Investors in the US & Asia with DarcMatter. Request a Demo to learn more.